If you worry about the safety of your family and want to be prepared for any emergency you'd better have reliable all purpose first aid kit at your home. You can also have it in your car, put it in your child's school-bag and take it with you to your vacations. We offer you durable, roomy, lightweight and easy to carry emergency kits which will be of great help in any situation. There is all necessary medicine and supplies as well as everything from elastic bandage, antibiotic cream, tweezers, instant cold packs to sterile gauze, safety pins, sharp scissors and other stuff in our all purpose emergency kits. 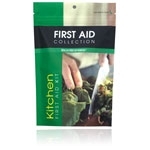 We stock only high quality reliable first aid kits at the lowest prices available. Be sure in your safety! Soft Pack First Aid Kit, 131 pc.